May is National Stroke Awareness Month! 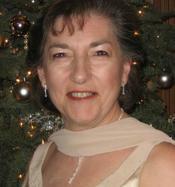 Care4You is honored to have Sonia Schupbach as our Professional in the Spotlight!! The after stroke support program is a warm and welcoming place that provides weekly programs and services for stroke survivors and their families. This no fee program has been meeting on Wednesdays for over 30 years! Thank you Sonia for your wonderful dedication and service to the community! You are so appreciated! The Glendora After Stroke Program Care4You is honored to have The Glendora After Stroke Program as our Community Partner. We are so thankful for everything you are doing to help stroke survivors and their families in the community! Meetings are held on Wednesdays at the La Fetra Senior Center in Glendora, California. The program is sponsored by the city of Glendora, CA. and by donations and fundraising. They provide the stroke survivors and their families an opportunity to share their concerns with other group members who are facing similar issues. They encourage stroke survivors and their families to discover and develop skills that allow them to cope with their new roles in the family and community. They provide information to the stroke survivors and their families about current stroke innovations and available resources. They provide support groups, education, entertainment and field trips. Care4You is honored to have EZ Living and Swing N Country as our Community Partners! Katie and John, what a testimony you both are in your endeavor to reach out to the public, to assist when needed and to touch lives with your love of the dance! “EZ Living is the private practice of Katie Gundersen, MS, OTR/L, Occupational Therapist. And Swing N Country is the dance teaching business operated by Katie and her husband, John Watson. These two businesses often go hand in hand by helping local citizens in and near Monrovia maintain their independence and zest for living. Katie, and her husband John, met while on a competition Country dance team. Soon after they married, they began teaching dance together under the name of Swing N Country. Aside from their group classes held at the Monrovia Community Center, they also offer private lessons in their home studio. They teach American Social Ballroom dances (Fox Trot, Waltz, Rumba, Cha Cha, Night Club Two Step, both East and West Coast Swing.) And they still love to teach Country Two Step and the old tried and true Country Line Dances. They work with engaged couples on their ‘first dance,’ and have often worked with ‘father/daughter’ as well as the entire bridal party. Contact them at 626 359-1055. Or send them a message at [email protected]. Care4You is proud to have Katie Gundersen as our Professional in the Spotlight. Thank you Katie for all that you do for the community, especially for our Seniors! “As a California licensed Occupational therapist, Katie knows the importance of managing daily occupations, those activities that give meaning to our lives. Stumbling blocks, both big and small, can interfere with our quality of life. It might be nothing more than a little ache or pain, or something as major as surgery or other issues of aging including memory problems, confusion, poor mobility, compromised safety that get in the way of comfortable daily activity. Working through her business called EZ Living, Katie goes to her clients and helps them problem solve through those pesky daily problems like how to get up from a bed that is too low, or how to manage the shower safely by adding grab bars, shower chairs, and tools that help to make daily skills safer and easier. As a master clinician, she teaches her clients how to meet their daily living goals safely and with ease. She has access to companies that specialize in providing adaptive tools, can help her clients acquire them, and teaches her clients how to use them correctly. She can be reached at 626 359-1055 for initial contact and to set up an appointment for further consultation or send her a message at [email protected]. It was a beautiful spring evening and enjoying one of our many outings with some good friends, an elderly gentleman in his 90’s came over to our table to chat. We’ve known him for more than a year now. He pulled up a chair and with a smile on his face, a smile even brighter than he normally has with each time we see him, began to speak of a moment in his world that had really touched his heart. He was out and about doing several errands that day. He exited a building that had several steps to descend to get to his car and as he tried to maneuver those steps along with using his cane for support, he noticed a young woman, (I giggled when he called her a “youngster”) coming alongside of him, gently taking his arm and offering him her help as he walked down those several steps. He looked at me and exclaimed with an even brighter smile, “Can you imagine that? This youngster was so willing to make sure that I got down those steps safely!! How about that! !” He was beaming! I got so caught up in his response to her willingness to gently assist him, that as someone who works with the elderly in a wonderful company such as Care4You, I couldn’t help but feel so joyful, so thankful and so incredibly grateful to this young woman who showed such compassion to help a gentleman of ‘golden years,’ safely walk down those steps. I breathed a deep sigh along with my smile, thinking how wonderful it is to know that this dear young person, generations apart, reached out to help our friend and in doing so, she connected to his world and made quite an impression. An impression? Yes indeed! An impression of hope. Of knowing that he isn’t alone and that there are truly those who care, especially among our youth. Can I tell you how touched he was with this kind act? Can I tell you how touched I was, as well? I don’t know her but I like her in what she did in reaching out to shadow one of our wonderful seniors. In a world where our elderly can often feel so alone, feel like no one cares at times and on occasion feels so afraid of falling when they are up and about, this one act of tender benevolence will always be remembered. 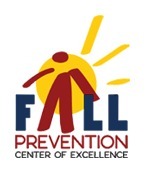 “Successful fall prevention involves the three main strategies of: balance training and physical activity; medical management; and, environmental/home modifications. Whether you are a service provider, an interested individual, a caregiver, or an educator/researcher, remember that a combination of all three interventions are necessary to prevent falls in the home and out in the community. Care4You Wants To Help You Keep Your Loved Ones Safe At Home! Isn’t it good to know that your loved ones can have peace of mind having quality home care from Care4You’s team of dedicated caregivers? 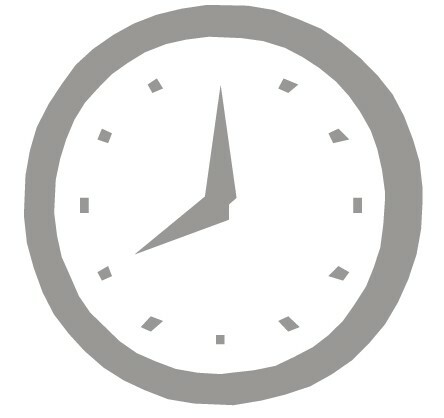 And now when a client schedules new services, 20 hours or more, Lifeline Medical Alert Service will be included at no additional charge! We care about our clients and their well-being 24/7! To take advantage of this wonderful offer by scheduling home care services and receive FREE Lifeline, call Care4You today at (855) 599-4888. Care4You is proud to have Philips Lifeline as our Community Partner. Thank you for everything you do in service to our community! “As part of Philips Healthcare, the commitment to innovative, quality care is in everything we do here at Lifeline. Whether it’s state-of-the-art lab equipment for hospitals or advanced consumer products for patients, Philips is dedicated to improving quality of life for individuals and families everywhere. Don’t forget to set your clocks forward this Sunday, March 12, 2017.